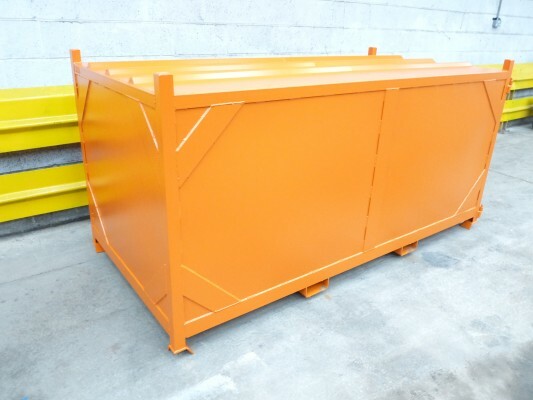 The Lamp Box, designed to be used for the safe storage and transportation of Fluorescent Tubes. Made of a strong lightweight steel and plate construction with a plate thickness of 2mm all around, constructed with gusseted corners for additional strength and fitted with feet which allow the units to be stacked. 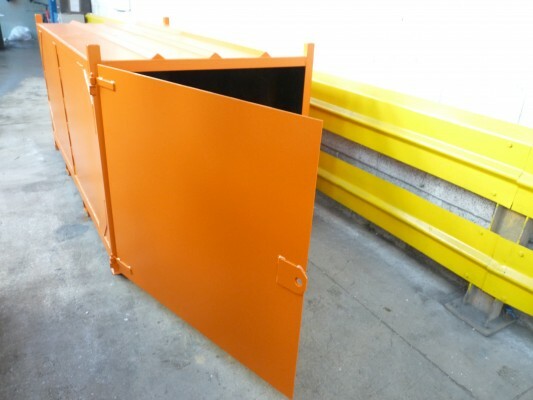 The unit will be painted to the customers colour specification and is fitted with integral fork pockets which allow for safe movement and a hinged door fitted with an ‘antiluce’ fastener which can also accommodate a padlock. The Lamp Box is available in both Standard and Heavy Duty builds. The Heavy Duty build increases the overall strength of the construction through the addition of a Swaged Roof and reinforced corner posts as shown in the pictures & technical drawing below. Can have inner compartment, dividing wall or shelf fitted as per customers requirements. 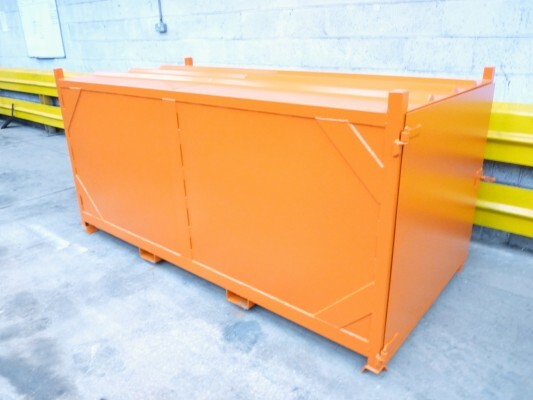 The Lamp Box can have load tested lifting lugs fitted for use with a crane lift. As required by the customer, to give clear instructions to the user/consumer. Colours and logo details to be supplied by the customer.